HAARP (High Frequency Active Auroral Research Program), was an ionospheric research program jointly funded by the U.S. Air Force, the U.S. Navy, the University of Alaska[clarification needed], and the Defense Advanced Research Projects Agency (DARPA), designed and built by BAE Advanced Technologies (BAEAT). Its purpose was to analyze the ionosphere and investigate the potential for developing ionospheric enhancement technology for radio communications and surveillance. 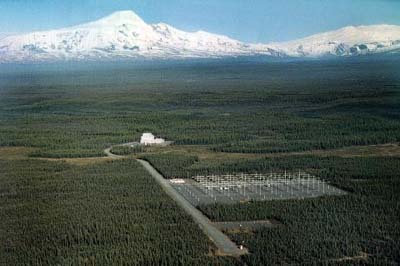 The HAARP program operated a major sub-arctic facility, named the HAARP Research Station, on an Air Force-owned site near Gakona, Alaska.